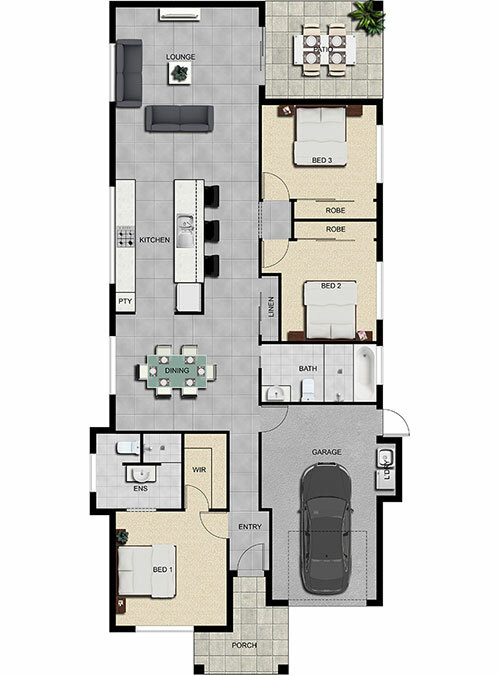 Perfectly suitable for first home buyers, families & investors alike. With the kitchen as the central hub of this home, the rear open plan living ensure ease of entertaining with sliding doors opening to covered patio. The master bedroom is positioned to the front, away from the living areas.